Denmark is an ideal country to visit for a great summer holiday: it has long hours of daylight and relatively cool weather. Its low elevation and long coastline also mean that there are lots of beaches to choose from. It’s also a great time of year to indulge in some hygge [hue-ga]. Hygge doesn’t have a direct translation in English, but it has been related to comfort, happiness and wellbeing. Hygge is slowly becoming known abroad, but it’s generally mentioned in relation to beating the winter blues, with the use of candles, blankets, and hot chocolate. In Denmark, it’s something to enjoy year-round, so they offer great hygge activities and food for the summer, too. Just some of the hygge activities you can look forward to are bicycle rides, outdoor festivals and meals with family or friends, such as picnics and barbecues. Even if you’re on your own, you can still experience a hygge meal. There are many hyggelig cafes and restaurants in Copenhagen and beyond, and there’s also an organization that helps you to arrange a meal with a Danish family, called Meet the Danes. Natural spaces are often at their best in the warmer months, and spending time amongst nature is very hyggelig. Even in the Danish capital of Copenhagen there are dozens of green areas to enjoy. Denmark is a very bicycle-friendly country, and Copenhagen has numerous bike lanes and bike paths. One that runs through several parts of the city is often called the Green Path. This 10-kilometre route runs along an old railway track, and is pedestrian friendly, too. There are various public attractions along the way, but it also allows you to see the more private side of Copenhagen as it winds between the houses. 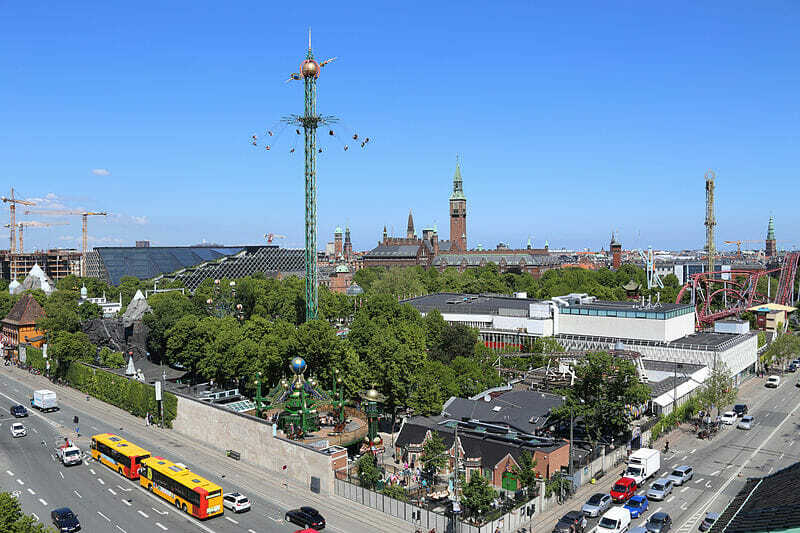 Cycling is a great way to reach tourist spots such as Tivoli Gardens – a pleasure garden and amusement park that runs entirely on renewable energy. Located near the main train station, you can go from thrilling rides to historical buildings, or viewing colourful flowers to eating in spectacular restaurants and cafes all within metres of each other. Except for Halloween and Christmas, it’s only open from April to September, and summer sees the Gardens host various concerts, performances and other events. 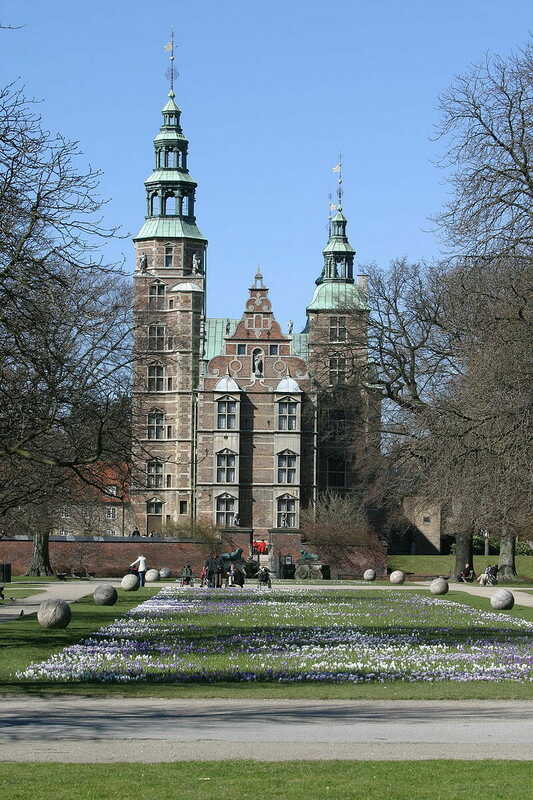 Copenhagen boasts other public parks and gardens such as the one at the Royal Library (which was formerly a shipyard) or J.C. Jacobsen’s Garden. The latter, also known as Academy Garden, was once the private garden of the founder of Carlsberg Breweries and contains a hanging garden and cafe. It’s still a quiet tourist spot, having only been opened to the public in 2008. It’s easily accessed via Carlsberg station. Not far from Tivoli Gardens is Copenhagen Zoo, which puts on a variety of summer activities, including animal feeding. The zoo is one of the oldest in Europe, although they have updated their habitats – the new Elephant Garden is also an example of stunning modern architecture. If you have ethical concerns about zoos, though, you can skip it and just visit the neighbouring Frederiksberg Gardens. 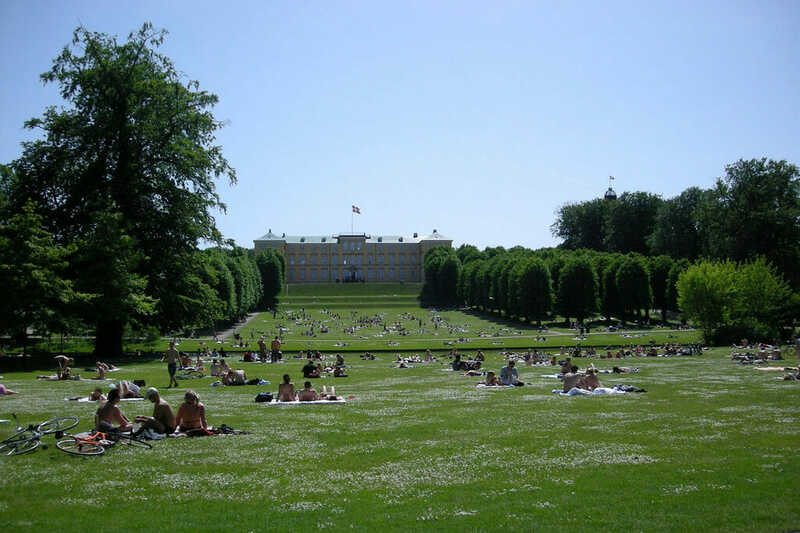 Overlooking the luscious lawn (a popular picnic spot) is Frederiksberg Palace, and boat tours are available on the water. To the west of Copenhagen city centre (and north of Tivoli) are The Lakes, a group of three rectangular lakes that are as popular with locals as they are visitors. They’re a good place to spot wildlife, as two of the lakes are home to an artificial island that provides sanctuary for birds. Their summer appeal is the rowing boat rentals near Dronning Louises Bridge. The Lakes are also useful for orienting yourself in the city. 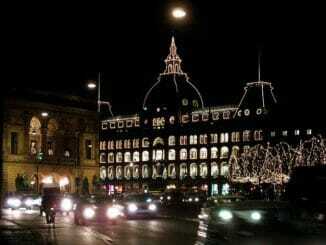 South of the Dronning Louises Bridge is Nansensgade, a street featuring many second-hand shops and lovely cafes. 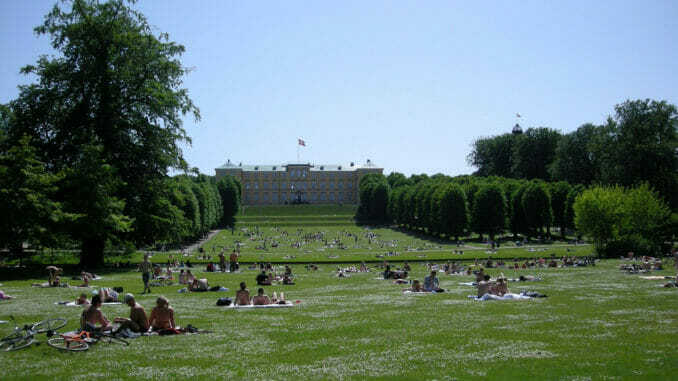 East of the most southern lake is Pumpehuset, which hosts free outdoor concerts in summer; and to the east of the northernmost lake is Kastellet, or The Citadel. These are military fortifications in the shape of a star, where you can attend free events and concerts. 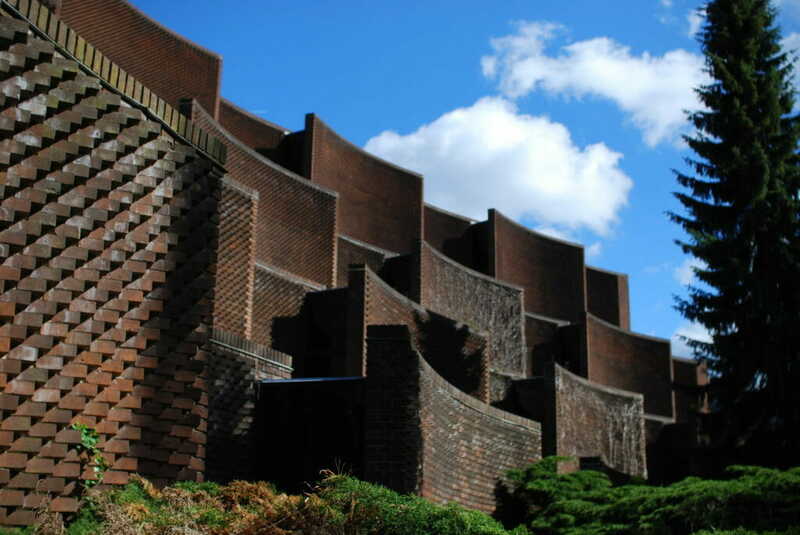 Nearby is the famous bronze sculpture of The Little Mermaid. North east of Nansensgade is Copenhagen’s Botanical Garden, which has a shop and café van and entry is free. Bordering the Botanical Garden is Rosenburg Castle and royal museum, standing grandly before The King’s Garden. 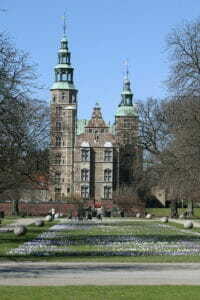 Among the grand flowerbeds, you can find a statue of Hans Christian Andersen, and an adventure playground for children. Children can also be entertained by a puppet show in midsummer. 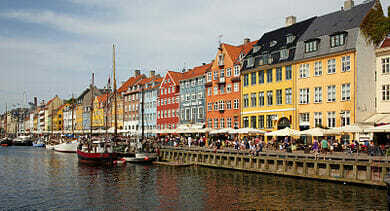 Keep going south-east and you’ll reach Nyhavn, where you’ll find the spectacular, iconic houses with coloured facades. Nyhavn is a former port where you can now enjoy a delicious meal by the canal. It also has the claim to fame of being where Hans Christian Andersen lived – in houses 20, 67, and 18! For the oldest house, you’ll want to see No. 9. You could easily spend a whole holiday in Copenhagen, but Denmark has much more to offer. West of the capital is Roskilde, home to the Viking Ship Museum and the Roskilde Festival. It attracts just as many headliners as any other summer music festival, but with less commercialism and more community spirit. Come at the end of June/start of July to catch this charitable and ecological event. For those hunting for the best beach, you’ll have to go to North Jutland, where Lokken Beach is situated. Nearby Aalborg makes a great place to stay – it has its own airport and is about 40 minutes’ drive away. 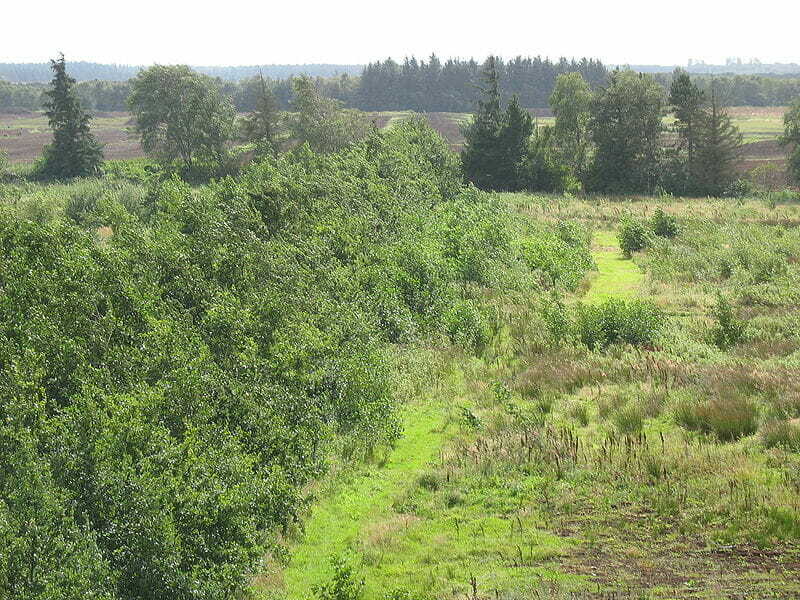 The same distance in the opposite direction will bring you to the animal watchers’ paradise of Lille Vildmose, a raised bog that provides the habitat for aurochs, deer and golden eagles. 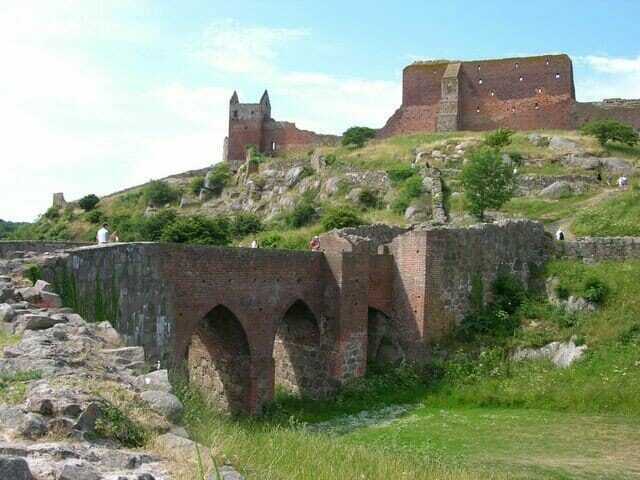 If a day-trip from Copenhagen is more suited to you, then the island of Bornholm is perfect. You can visit Hammerhus fortress ruins and the lighthouse, followed by delicious ice-cream. In the largest town, Rønne, you can visit its distinctive round churches, markets, traditional mill, herring smokehouse, and white sandy beaches. Summer in Denmark gives you a whole host of opportunities to enjoy the outdoors, and truly indulge in the hygge lifestyle. Put your wellbeing first and give yourself a Danish holiday!